Looking for a training table with endless possibilities? This Lumina flipper table is versatile, highly durable and quite attractive to boot. 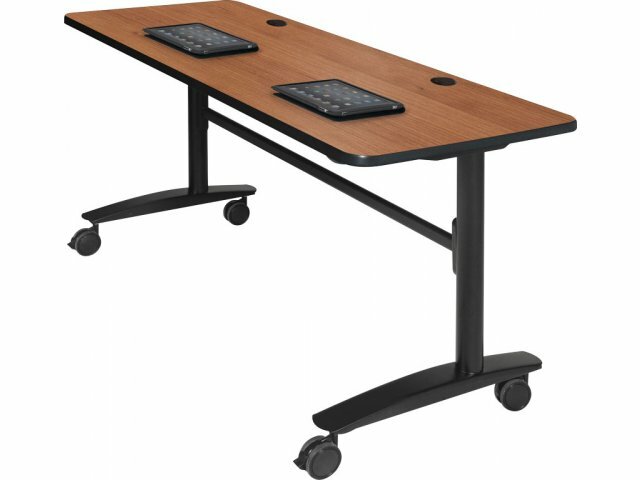 This rectangular training table can be used on its own as a classroom table or workstation, or combined with other tables in the Lumina series to create your own customized configurations. Folding, storing and reconfiguring are made easy with the handy lever mechanism that lets you flip the tabletop, even with one hand. The table rolls smoothly on four 3" heavy-duty locking casters, so you can move them out of the way with ease. 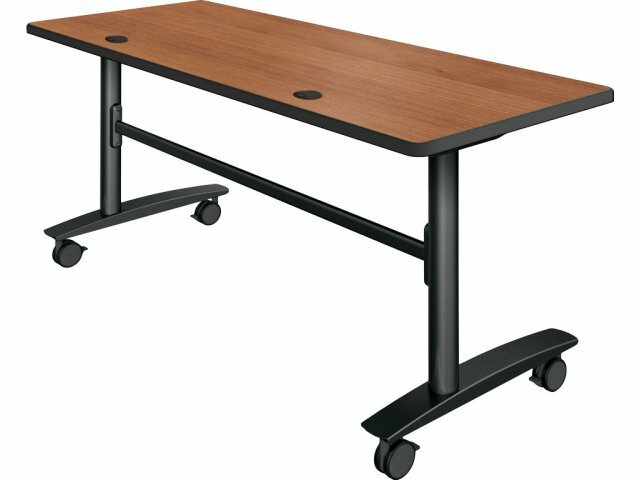 One-inch thick tabletops, an all-steel frame and stabilizing bar make this training table extra-strong, stable and highly durable. 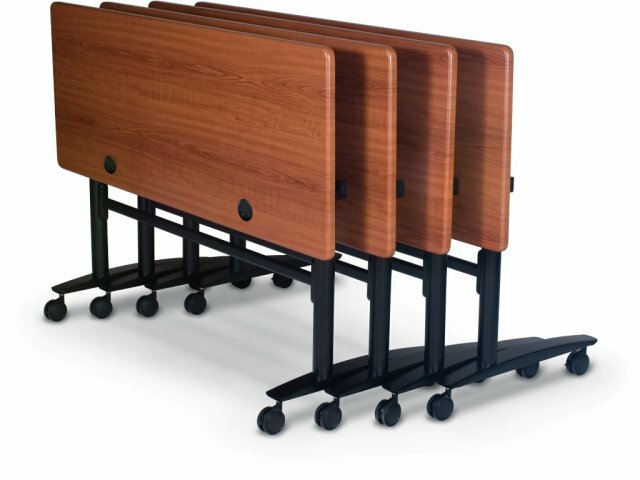 With a high-quality cherry laminate finish over a black powder-coated frame, this training table adds style and flair to any classroom or office environment. 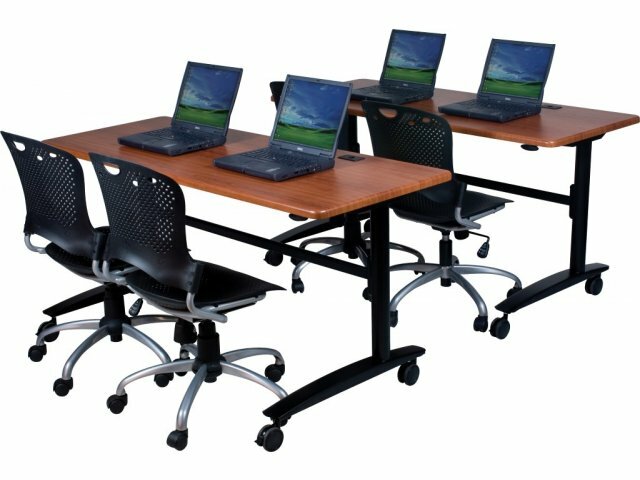 Practical Shape: Rectangular shaped-table can be used as a classroom table, an individual workstation or in combination with other shapes in the Lumina series to create conference tables and other customized layouts. 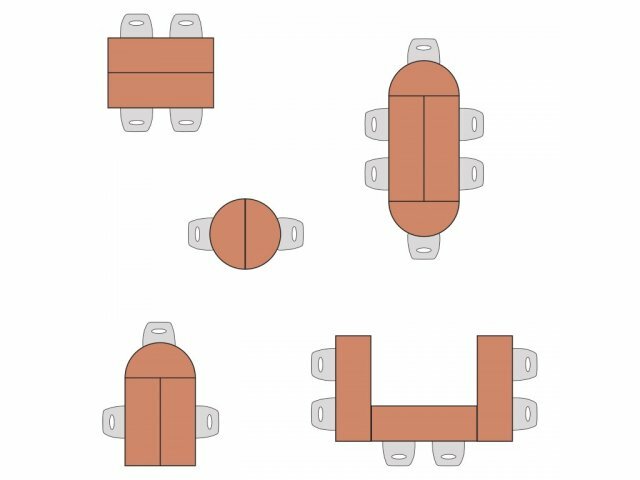 High Versatility: Variety of shapes and sizes lets you configure and reconfigure your setup for a wide variety of uses, from classroom to conference to individual workstations and more. 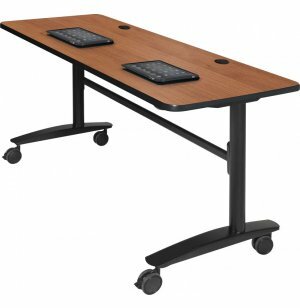 Extra-Durable: 1"-thick tabletop and steel frame with stabilizing bar make these training tables extra-strong and highly durable. Easy Folding: Exclusive lever mechanism lets you flip the tabletop with one hand for no-hassle setup and folding. Compact Storage: When flipped, the tables nest together for convenient, compact storage. Smooth Mobility: Heavy-duty 3" locking casters provide smooth rolling action and let you move tables out of the way with ease.